In 2015, the Houston Academy of Medicine, Texas Medical Center Library will celebrate 100 years of providing medical knowledge to Texas physicians. However, the year before the library was created in 1915 was a momentous year for the world and Houston. 1914 marked the beginning of World War I, a conflict that would soon engulf the United States. In Houston that year, the death of George Hermann indirectly set in motion the creation of the Texas Medical Center. More on his death in a later blog. 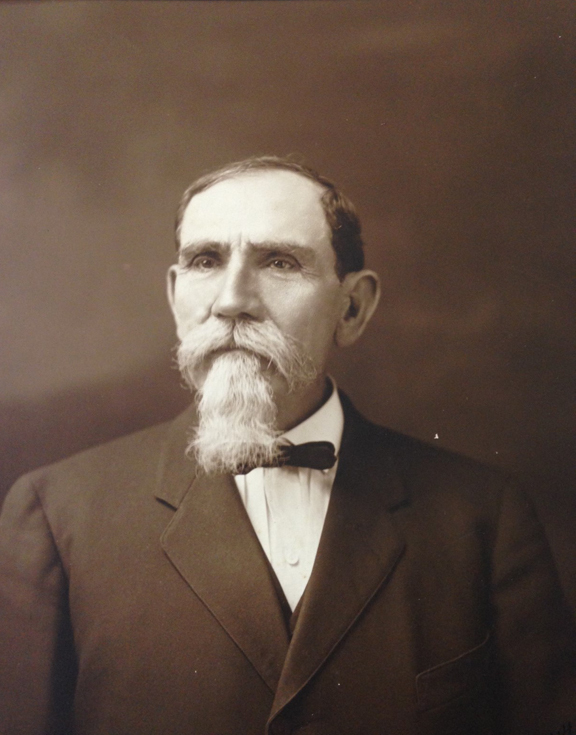 In 1914, George Hermann, who became a millionaire with the discovery of oil in Humble, Texas, donated the site of his sawmill to the City of Houston. That donation became Hermann Park. Hermann gave the following picture of himself to an unnamed person and signed the picture and dated it June 22, 1914. By the following October he was dead. His funeral was a major event in the city. Hermann stipulated in his will that a public, charity hospital be created. Hermann Hospital opened its doors in 1925. In the late 1940s, the Texas Medical Center would take shape on land adjacent to Hermann Hospital. MS 19, Hermann Hospital records, Box 1, Historical Photos 1918-1940s, G.H. Hermann portrait. “TEXAS MEDICAL CENTER,” Handbook of Texas Online (http://www.tshaonline.org/handbook/online/), accessed August 08, 2014. Uploaded on June 15, 2010. Published by the Texas State Historical Association.